Though physics and electrical engineering are different sciences, the two fields sometimes converge when scientists tackle tricky experiments. Justin presents one example of a project in which embedded technologies are helping researchers gather data at the South Pole. While most telescopes detect various kinds of light, astronomers are increasingly using other signals to study the cosmos. One of these signals is the neutrino, a nearly massless subatomic particle that can propagate throughout the universe undisturbed, thereby carrying unique information from the farthest and most violent objects in the universe. The challenge facing scientists is to detect these neutrinos on Earth after they have journeyed for millions to billions of years. One method is to detect the flash of light produced when a neutrino hits a particle of water, ice, or other transparent material. The IceCube neutrino telescope under construction at the South Pole is being developed to exploit this technique. For the highest-energy neutrinos, a better method is to listen for them. When a high-energy neutrino hits a particle of matter on Earth, it produces a cascade of subatomic particles that emits a shock wave audible in the 10-100 KHz acoustic to ultrasound band. Scientists believe the Antarctic ice sheet is the best place on Earth to build an acoustic neutrino telescope that can listen for these neutrinos. Toward this end, the South Pole Acoustic Test Setup (SPATS) was installed at the geographic South Pole in 2007 as an R&D project associated with the IceCube experiment. SPATS comprises four strings of piezoelectric sensors and transmitters installed in holes drilled vertically into the ice. The strings are spaced 125-543 m apart, and the sensors and transmitters are located 80-500 m deep in the ice. The holes are drilled with a stream of hot water that produces a standing column of water into which the strings are lowered. After deployment, the water column freezes back into place around the string of instrumentation. Each string has seven piezoelectric transmitters and seven sensor modules, with three piezoelectric transducer channels per sensor. This setup posed an embedded computing design challenge: The SPATS research team needed to control, monitor, and acquire data from systems located at an almost completely inaccessible site where winter temperatures can reach -80 ¬∞C. Given these environmental conditions, the systems had to be rugged, stable, and cold-rated. Our research team decided to use PC/104 systems installed in custom-built aluminum junction boxes buried 2 m deep in the ice. 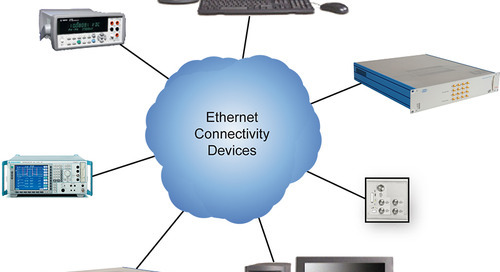 Figure 1 shows a SPATS junction box with the PC/104 stack, DiskOnModule, and Ethernet extender visible. Although burying the junction boxes made them unreachable after deployment, doing so provided the advantage of insulating the systems in 2 m of snow. While the winter air temperature at the South Pole is forbiddingly cold, the temperature at 6 feet under is a balmy -50 ¬∞C year round. To meet the requirements for this application, these PC/104 stacks had to include relays to control power to individual instrumentation channels in the ice, Digital-to-Analog Converter (DAC) and digital I/O channels to control the piezoelectric transmitters, and Analog-to-Digital Converter (ADC) channels to read out the sensors and calibration signals from the transmitters. Each PC/104 stack needed 16 relay channels, 7 digital I/O lines, 7 DAC lines, and 35 ADC lines capable of sampling at 150 KHz or higher. With these requirements in mind, our team designed the systems using PC/104 modules and IDAN enclosures from RTD Embedded Technologies. Each stack consists of one CPU module, one relay module, one slow ADC module, and three fast ADC modules. Additionally, each CPU has two 1 GB DiskOnModule flash disks, with integrated IDE controllers, from PQI Corporation. Though each system only needs one flash module, a second module is reserved as a backup clone to be used if the first fails. All of this equipment is rated to -40 ¬∞C, which is not sufficient for the application. However, the equipment‚Äôs reliability was verified before deployment by cold booting and operating a system for one week in a freezer at -60 ¬∞C. Besides the four PC/104 systems, referred to as the string PCs, our research team installed one master PC indoors at the IceCube Lab, a central control building for IceCube. The master PC and the four string PCs run standard versions of RedHat Linux. The master PC distributes power, timing, and communications signals to each string PC via a custom-built PCI board (one per string). These lines travel out of the IceCube Lab to the string PC junction boxes via copper cable assemblies trenched 1 m deep in the ice over distances up to 500 m. DSL Ethernet extenders from NexComm enable configurable communication speeds up to 2.3 Mbps. Studying the propagation of acoustic signals in the ice required a means to measure absolute signal emission and arrival times at different strings with ~10 microsecond precision. We achieved this using an IRIG-B signal generated by a Meinberg GPS clock installed in the master PC. The clock is a PCI card synchronized with GPS via an antenna on the roof. The IRIG-B signal is split out from the Meinberg PCI card and distributed via custom PCI cards to the string PCs, where it is decoded synchronously with sensor and transmitter data to precisely time-stamp all the data. Our team installed the first three strings in January 2007 and the fourth in December 2007. Each system ran smoothly immediately after commissioning. After 22 months buried in the -50 ¬∞C ice (11 months for the fourth string), the four systems continue to perform well despite several sudden and unplanned power outages, some lasting as long as 48 hours. All of the computers have booted normally after the outages, despite their extended time off in the cold. By logging in to the computers from the North via a satellite link available 10 hours per day, our research team is taking special manual data runs, installing software upgrades, and monitoring the standard data acquisition that occurs autonomously. Exciting data are streaming north from SPATS, allowing researchers to measure the acoustic properties of the ice. We hope to expand this project into a larger experiment that will detect neutrinos from across the universe. Embedded computing will no doubt play a significant role in this next step, as we continue to listen for what neutrinos can tell us about the universe. Justin Vandenbroucke is a graduate student in the University of California, Berkeley Department of Physics. He has spent three summer seasons at the Amundsen-Scott South Pole Station installing instrumentation and data acquisition equipment for both the IceCube neutrino telescope and the SPATS project. Justin holds a BA in Physics from Stanford University. His research is supported by the National Science Foundation Graduate Research Fellowship Program.